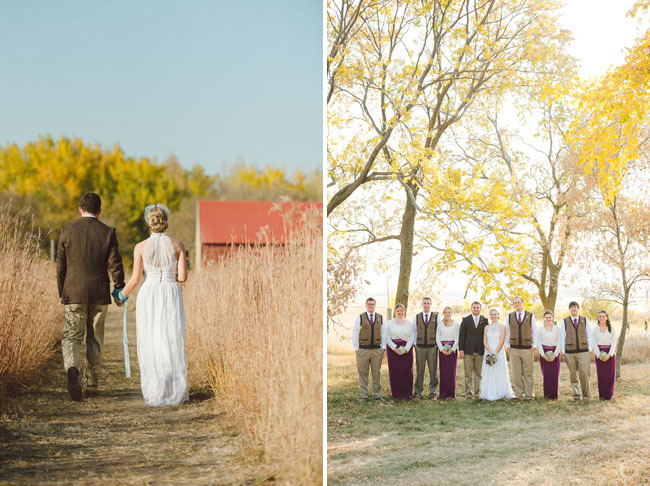 Such a gorgeous fall wedding to start the week off today – a stunning prairie homestead wedding! 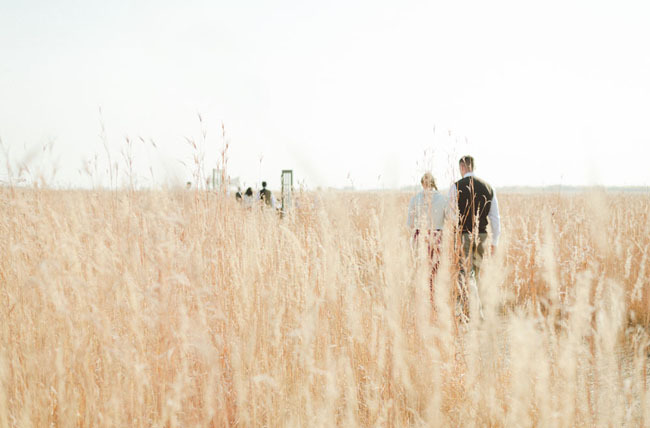 Since Will’s parents are custom wheat harvesters and LeAnn’s family has always lived where you can see nothing but wild prairie grasses and small farms for miles, it seemed only natural for them to bring their wedding close to their roots. 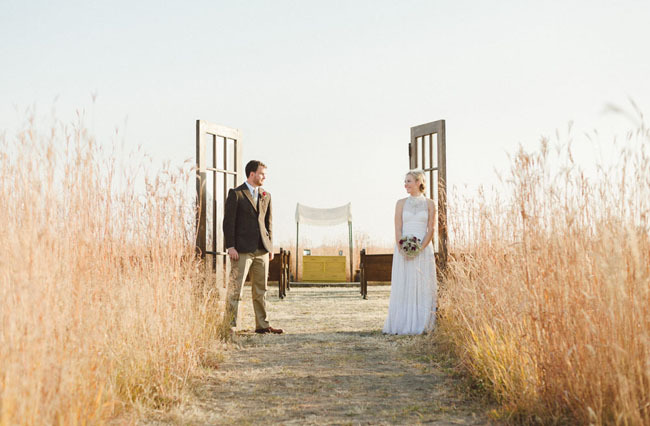 In fact, when LeAnn was little, she always wanted a simple wedding “out in the field” but loved the idea of the chapel, so a prairie chapel was a must-have element! The wedding took place in Western Minnesota at LeAnn’s parents home. Almost everything for the wedding was DIY. 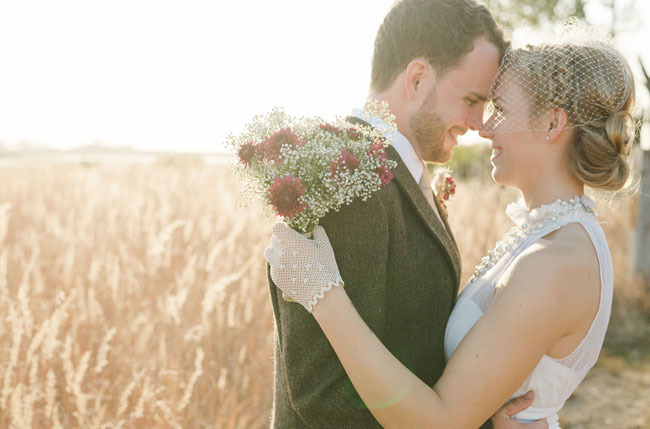 They had lots of talented friends + family which really helped them create their dream wedding. 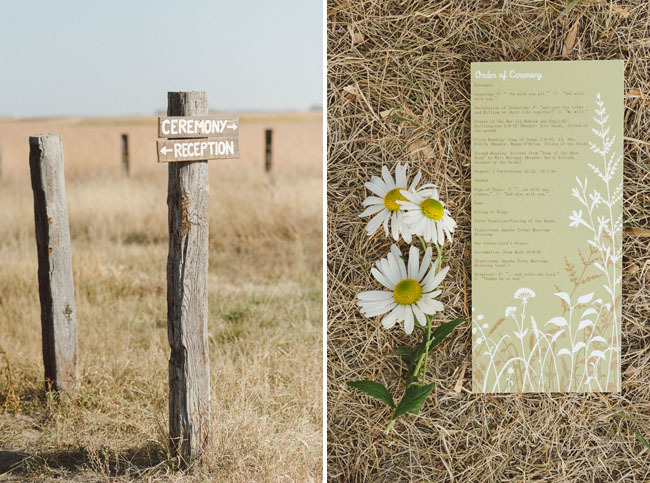 The ceremony plot was outlined, mowed + manicured by LeAnn + Will. 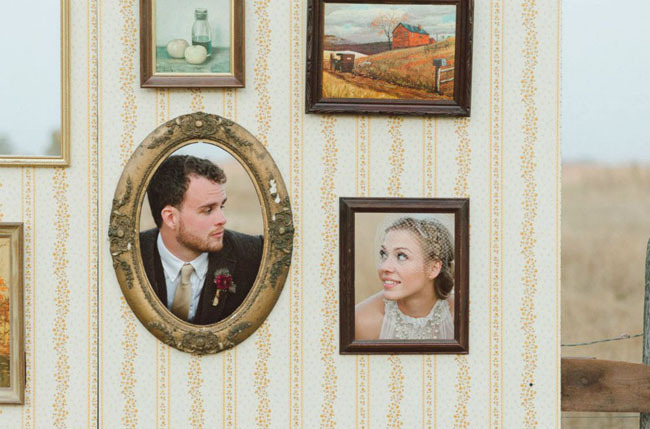 They found antique pews (built around 1910) from a sale in St. Paul, Minnesota and stained the antique dresser, made wooden signs, and fashioned the photo wall out of old frames, plywood, and 1970’s wallpaper picked up from an antique shop. LeAnn’s mom made her dress and the bridesmaids dresses. 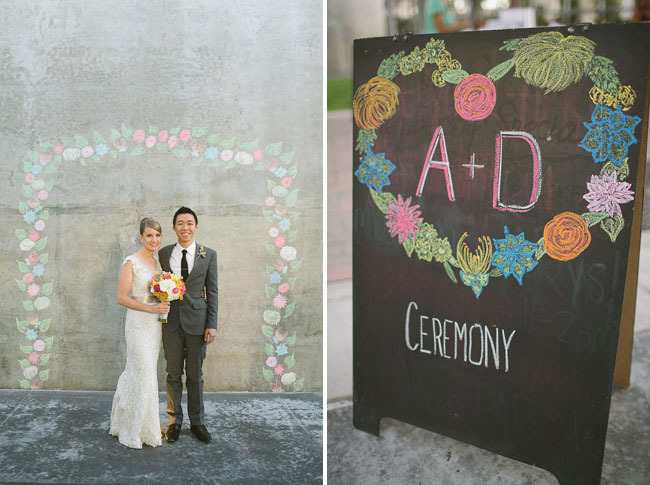 So many DIY details from the couple and their friends and family! In fact, I think their photographers were the only artists they hired! And such a great choice. 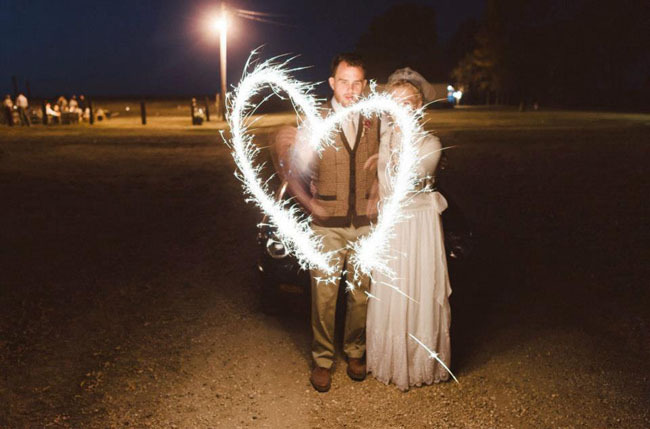 Totally loving the photos Jeff Loves Jessica Photography captured. 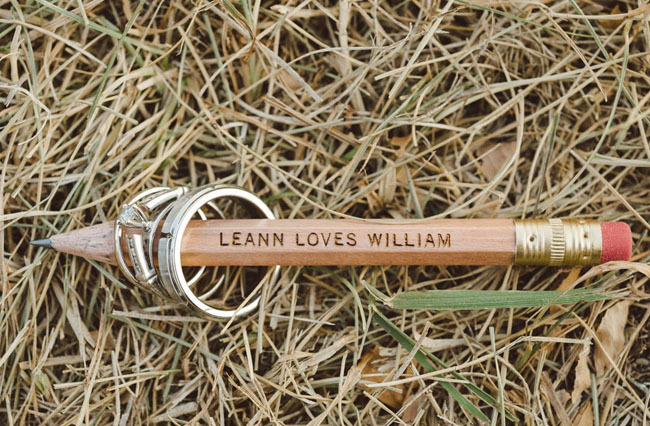 Congrats to LeAnn + Will! 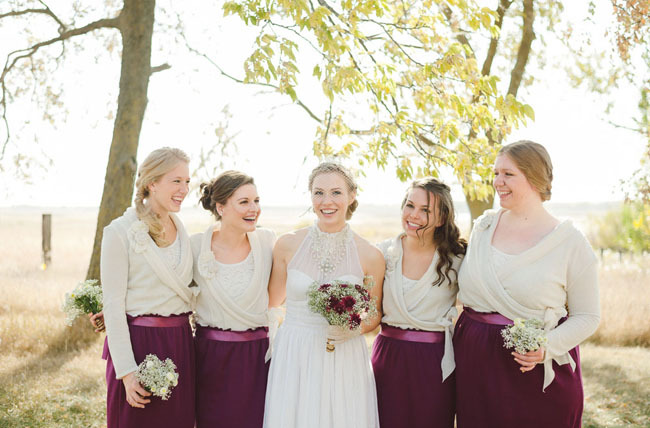 LeAnn’s mother, Fawn Alstadt, designed and created not only her bridal gown, but the sweaters for all of the bridesmaids as well as the bridesmaid dresses! Wow! 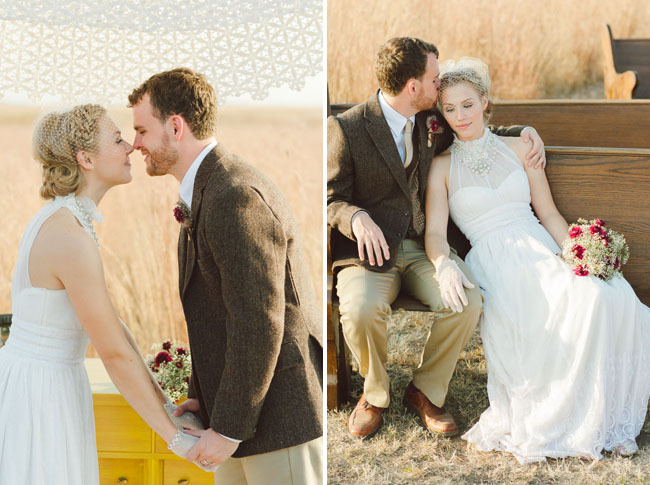 I’m pretty obsessed with those sweaters and LeAnn’s gown is gorgeous! 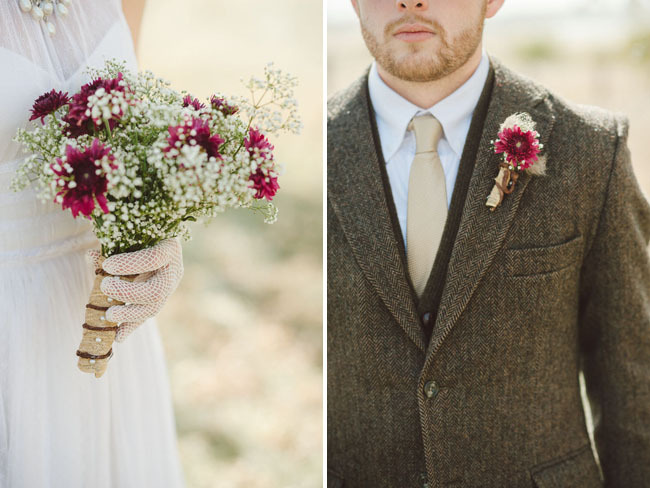 Will’s mother and sister grew the flowers and arranged the boutonnieres, bouquets, and centerpieces. We planned ten minutes into our schedule very early on to just take a walk by ourselves after our ceremony. We had a tender and intimate few minutes together as husband and wife before going back to celebrate. 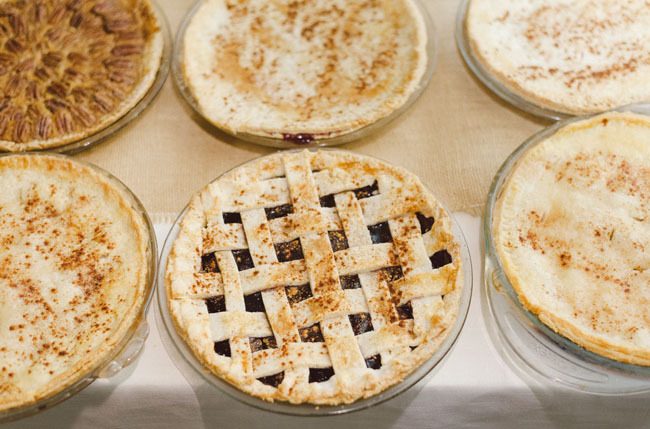 LeAnn stayed up with her mother wee into the early hours of Friday morning, baking 23 pies from scratch! A huge thank you to all the family members, friends and professionals who contributed to our wedding, either by sewing, cooking, baking, digging stakes, hanging lights, setting tables, ushering, serving, peeling potatoes, letting us tear apart your house all summer (Mom and Dad Alstadt) and all the other infinite tasks we accomplished in a year and a half. Oh, and thank you for just loving us. 1. Don’t bend to peer pressure or criticism about what “won’t work” about your day. We kept hearing all the time about couples having to concede things due to outside factors. We managed to have the exact wedding we imagined from the get-go. 2. Let yourself forget the unpleasant surprises of the day. Something will go wrong, but will likely be unnoticeable or quickly forgiven by your guests. 3. Don’t skimp on photographers. Seriously. If possible, find a photographer duo. While Jessica was in taking photos of LeAnn getting her dress on, Jeff was outside taking photos of the groomsmen. More opportunity to capture the candids, like Will discovering his letter from LeAnn and her hand-embroidered message on his collar. 4. On DIY projects: People want to help. Use their talents and interests to your advantage. Anything you do yourself is saving you money, giving you a memory with your soon to be spouse, and really creating all facets of your day. LeAnn and I mapped out, hoed, weeded, and mowed our 65x35 ft ceremony plot lovingly code-named: "The Field of Dreams" (If you build it, they will come, right?). We stained our yellow armoir together and built our photo wall (wallpapering vintage 1970’s wallpaper plucked from the local antique shop was quite the adventure). LeAnn and her mom stayed up until 5am the Friday before our Saturday wedding baking 23 homemade pies. Will was 20 feet up a ladder the same night stringing lights in the barn with LeAnn’s dad. When you take ownership of something like this, you know things will get done, and they’ll get done in the precise way you want. 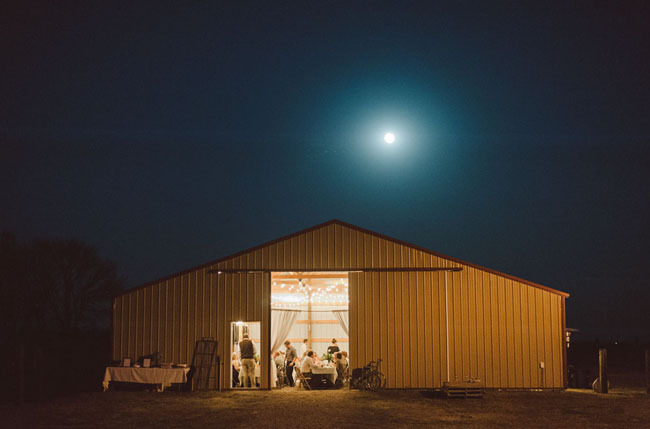 Also, LeAnn + Will are selling lots of items from their wedding (everything from the photo wall to the stoneware dishes to the mismatched antique drink glasses to the 100 year old church pews!) through LeAnn’s mother’s etsy shop. Check out the Teal Door if you are looking to buy anything from their day! 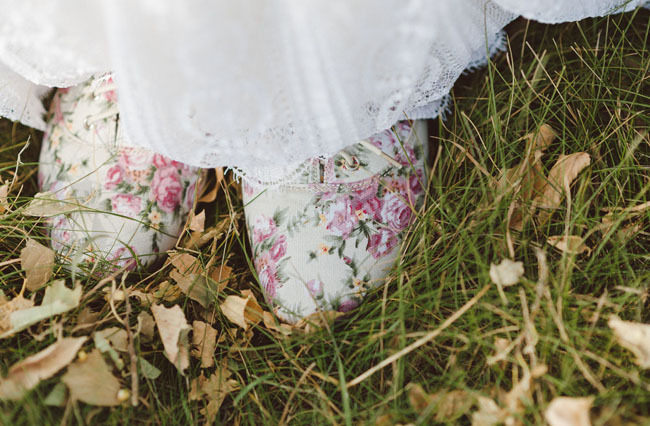 everything about this wedding is just so pretty and sweet! love her gown and her style. 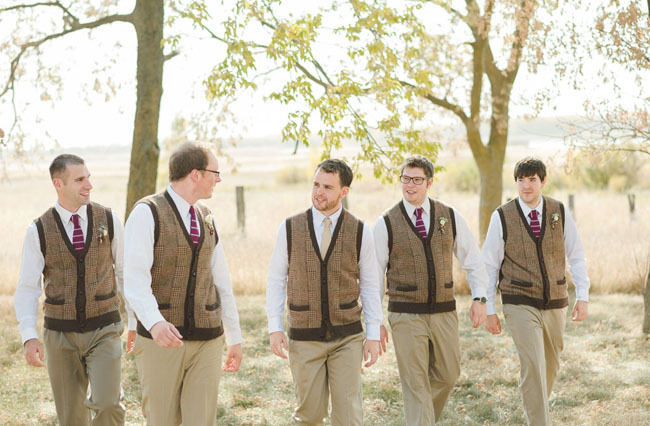 love how different the groomsmen suits are too! 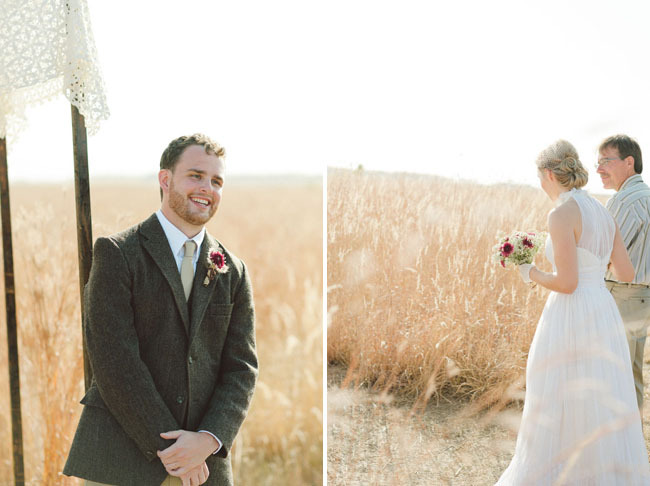 Leann looks beautiful in her gown, and Will is so dapper in the tweed jacket. They look so happy together! Congrats you two! 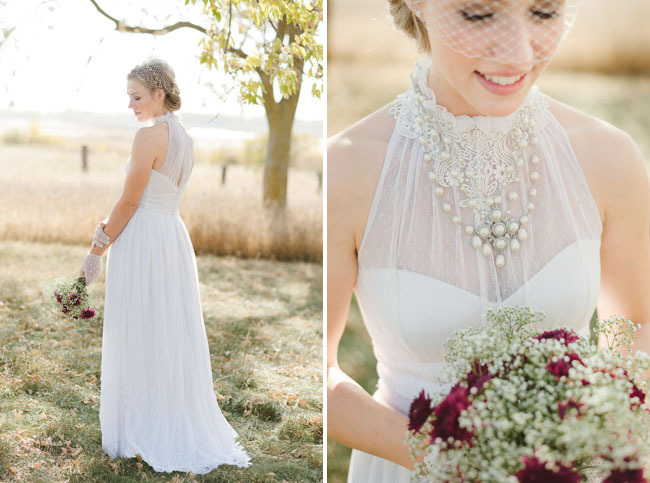 I am still awe-struck that the bride made those sweaters and that dress! Love that the couple is selling a lot of the items they used for the wedding. I think that is a good way to both stay within budget and pay-it-forward to the other DIYers out there. Wow. Just wow!! 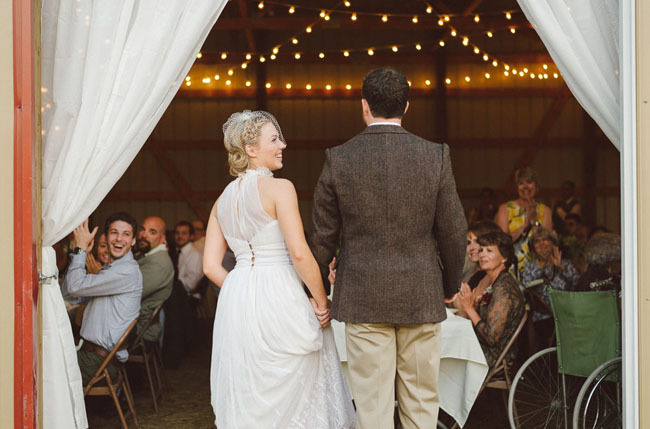 We were so honored to be a part of Will & LeAnn’s day! The moment we first met them, we watched them glow and listened to them buzz about their dreams for this day. 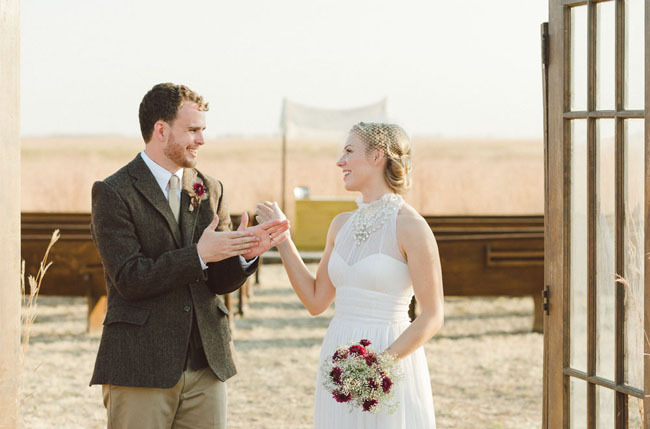 We knew from the get-go that these two were creative and passionate about their wedding plans. And then they did it!!!! 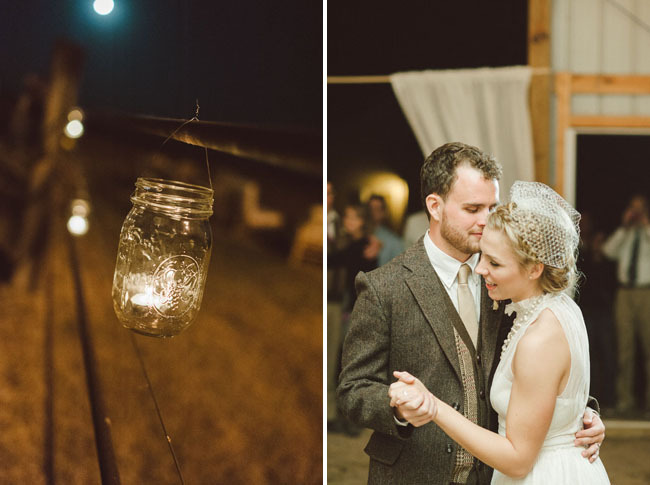 Every last detail about their wedding was completely beautiful and magical. I’ve never seen DIY done SO well! 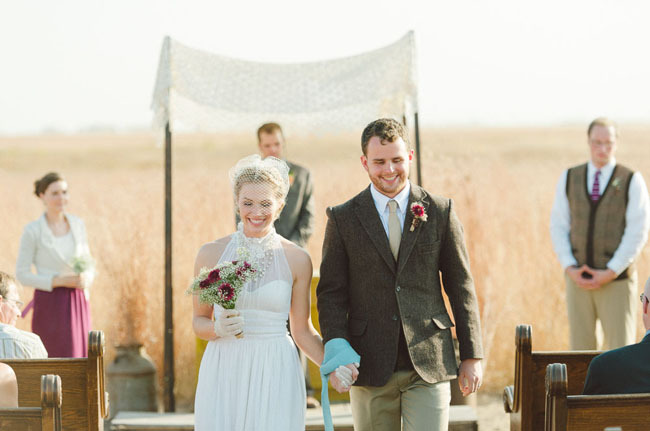 So proud of these two and so delighted to see them featured on GWS! Thanks so much! 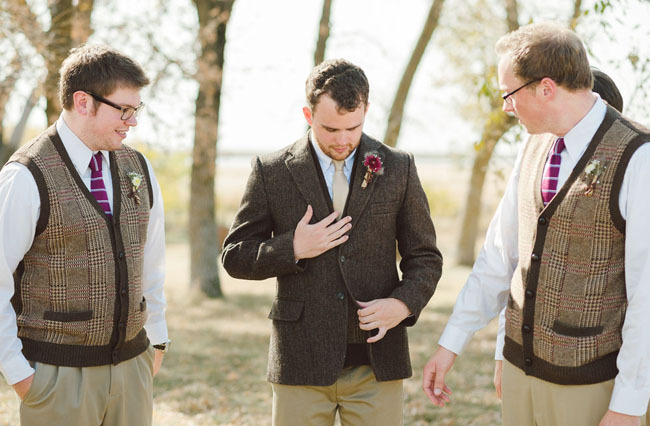 Even if I weren’t from MN, I’d adore this wedding all the same. 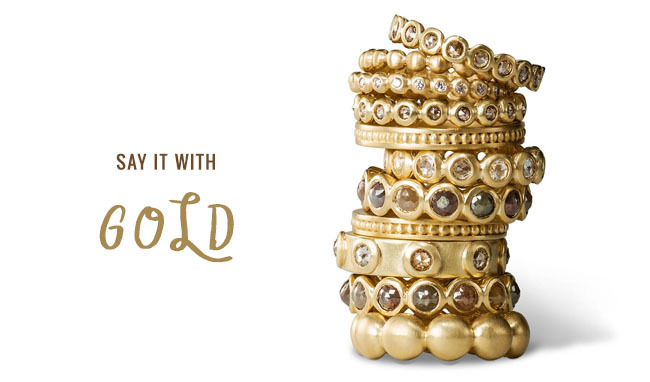 So many lovely elements and thoughtful touches. 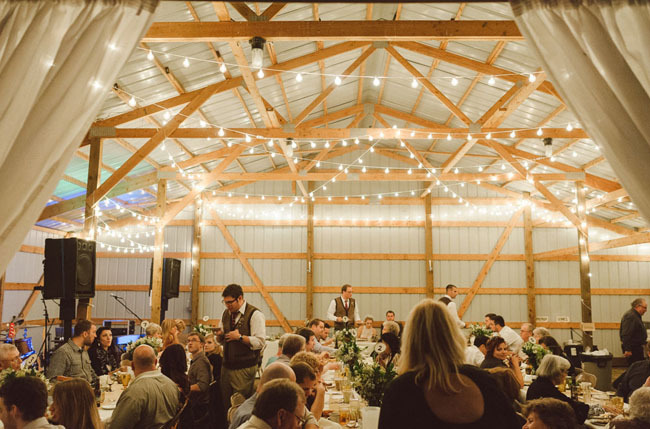 Love the pies, strung lights, pews, bridesmaid sweaters and LeAnn’s dress is incredibly beautiful. YAY-congrats! Simple yet very elegant wedding. The photos make this come alive! Great job! 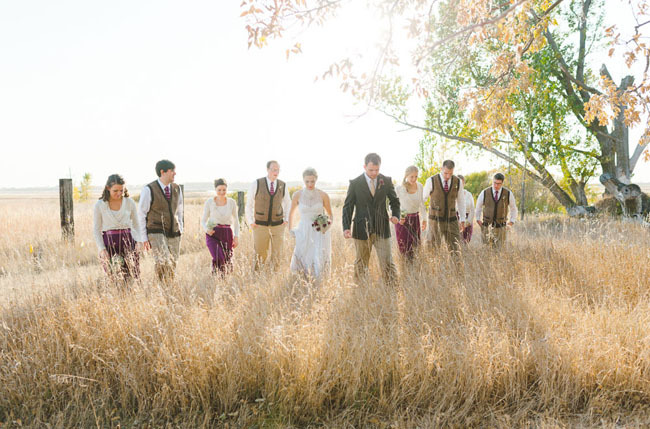 As the Matron of Honor, I was lucky enough to see this beautiful wedding in person! It was stunning, to say the least, and one of the most perfect weddings I have ever been to. They are a lovely couple and worked so hard. I was so happy to be a small part of their day! 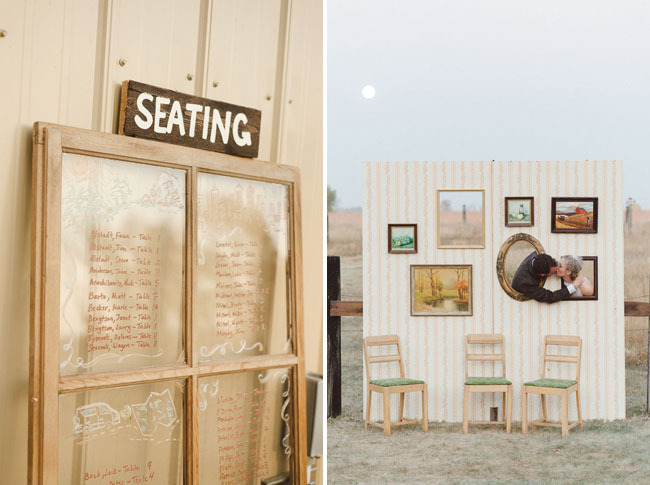 This wedding is just plain awesome. Love the feel, the colors and the small details. The photography is very nice, very good use and understanding of natural lights. Beautiful captured moments and emotions. I’m a little bit intrigued for the way the bride is dressed and the wedding style it is about. But surely it is something amazing, elegant, impressive. I’m stunned! The bride looks stunning in her dress! 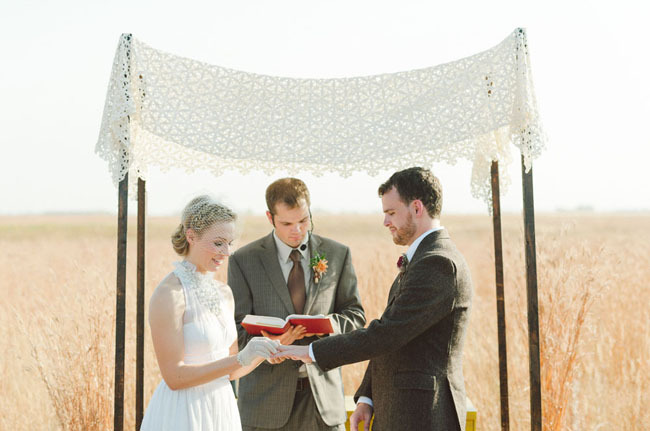 I’m also in love with the idea of bringing the chapel feel outdoors. 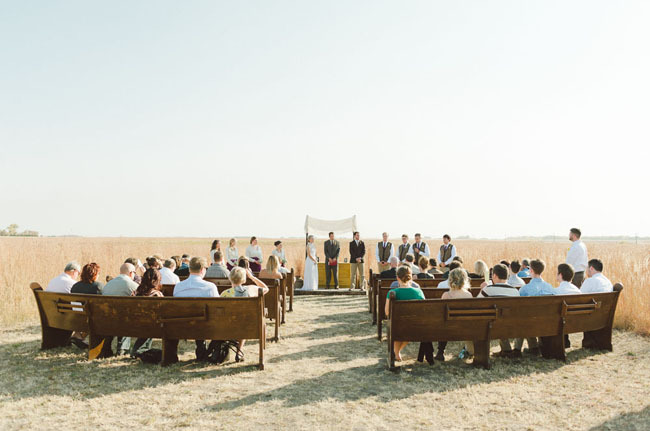 Love that they carved out their own mini-chapel in the middle of the prairie! What a beautiful (and very talented) couple! I love the simplicity of it. It looks like they kept things stress-free and easy. 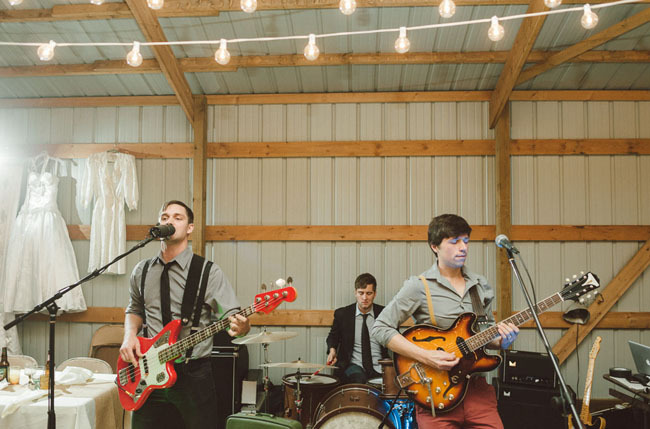 What a cool wedding and so beautifully recorded in the photos. This is a pretty much perfect wedding. 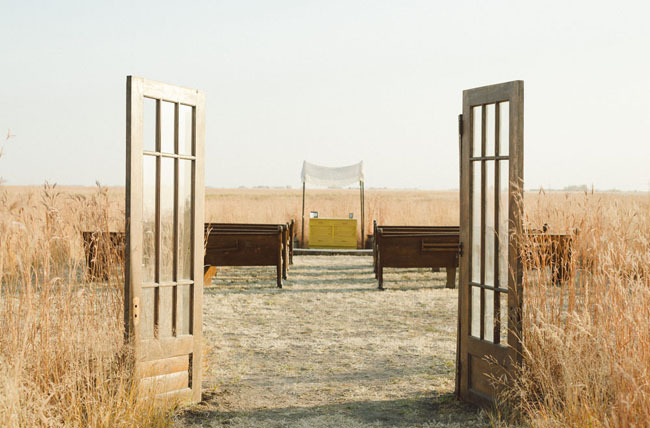 I love the big open field with benches for seating and the doors to enter through. so awesome!